Henry Hill Jr. was an important member of the ‘Lucchese crime family’ in the US. This biography profiles his childhood, family, crimes, etc. Henry Hill Jr. was born in Manhattan, New York, on June 11, 1943. His father, Henry Hill Sr., worked as an electrician, while his mother, Carmela Costa Hill, was a housewife. Henry was raised in Brownsville, Brooklyn, along with his eight siblings in an ordinary working class environment. Mobsters like Paul Vario used to socialize near his home. Their flashy and glamorous lifestyle fascinated Henry, and he decided at a very young age that he wanted to be a gangster like them. He started working for mobsters like James Burke, and with time, his bond with gangsters from ‘Lucchese crime family’ strengthened. 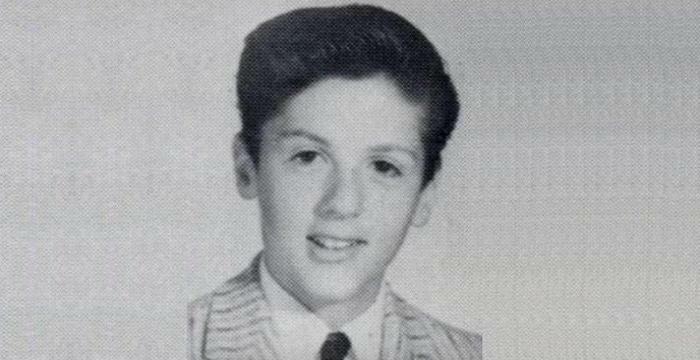 At the age of 14, he dropped out of high school and began working for the gangsters. 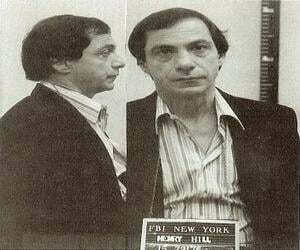 Henry Hill committed his first major crime when he set a cabstand on fire. This cabstand was maintained by Paul Vario’s rival, so the crime family wanted to destroy it. Henry was first arrested at the age of 16 when he was caught for using a stolen credit card. Despite a rigorous interrogation by the police, Henry did not disclose anything but his name. This helped him gain the trust and confidence of Vario and Burke. He was subsequently bailed out by Vario’s attorney. He spent the next three years serving in the US armed forces. He later revealed that the move was deliberate as the FBI had begun their investigation into various matters and that he was at risk of being arrested. Just before his discharge, Henry was kept inside a stockade as he was involved in various illegal activities. He even stole the car of a local sheriff while serving in the armed forces. In 1963, Henry returned to New York and started organizing crimes. He was involved in arson, stealing cars, hijacking trucks, etc. In 1967, Henry played a prominent role in stealing $420,000 from a shipment. He then distributed a huge amount of money among his fellow gangsters. He also gave $120,000 to Paul Vario and used the remaining amount of money to purchase a restaurant. Though the restaurant was purchased to begin a crime-free life, it ended up becoming the new hub for gangsters. Henry was then involved in various illegal drug business as he started selling heroin, cocaine, marijuana, and quaaludes. In 1980, he was arrested on various charges, including drug trafficking. During his stay in prison, Henry came to know about the conspiracy of his associates, and he was convinced that his fellow gangsters were planning to kill him. He then became an FBI informant as this was the only logical option which he was left with. His statements helped the FBI in securing 50 convictions, which in turn helped Henry and his family in qualifying for the ‘Federal Witness Protection Program.’ His children Gregg and Gina later mentioned in their book that despite the federal protection, their life was far from being peaceful. While the Mafia was trying to track them down, they were also terrified by their father's behaviour as he was prone to violence and was addicted to gambling, alcohol, and drugs. To save their lives, they constantly moved from one location to the other. To make things worse, Henry was expelled from the ‘Witness Protection Program’ as he could not restrain himself from committing crimes. In 1990, he and his wife, Karen, separated and later divorced. He then started working as a chef at an Italian restaurant in Nebraska. In October 2007, he opened a restaurant named ‘Wiseguys’ in Connecticut. He also spent a lot of time painting and sold many of his paintings on eBay. One of his paintings is now exhibited in ‘The Museum of the American Gangster’ in New York City. 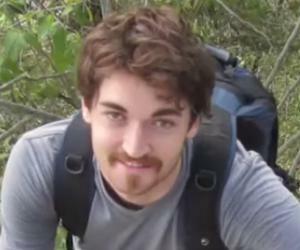 Henry’s final few years were spent in Topanga Canyon, California, where he lived with his fiancée Lisa Caserta. 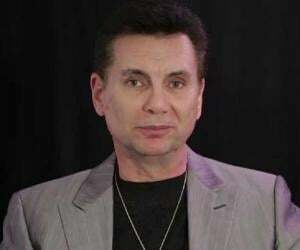 He and Lisa appeared in several documentaries and TV shows, including ‘The Howard Stern Show.’ He was once asked if he felt guilty about glorifying his life as a criminal through self-written books and he replied by saying that he did not care what others had to say as he was doing the right thing. Henry wrote several books during his lifetime; some of them were written in collaboration with other authors. In 2002, he published his book ‘The Wiseguy Cookbook.’ In this book, he had written about a few recipes which he had learned during his childhood. He had also written about his life as a gangster. His non-fiction book ‘The Lufthansa Heist’ was co-authored by Daniel Simone. 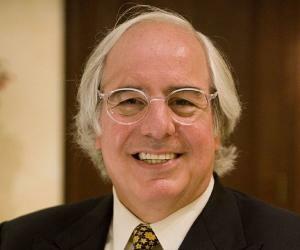 His book ‘A Goodfella’s Guide to New York,’ which was written in collaboration with Bryon Schreckengost, was published in 2003. In 2004, his book ‘Gangsters and Goodfellas,’ written in collaboration with Gus Russo, was published by M. Evans & Company. Henry Hill met Karen through a mutual friend. When Karen’s parents opposed their relationship, they eloped before getting married in 1965. They later had a formal Jewish wedding ceremony. They had two children - Gregg and Gina. During the initial years of their marriage, they lived with Karen’s parents at their home in Lawrence, New York. For a major part of the 1970s, he and his wife were involved in organized crime, through which they became rich. His wife Karen filed for a divorce in 1990 when she discovered that he was having an extra-marital affair. After the divorce, he married Kelly Alor. He divorced Kelly in 1996 and started a relationship with Lisa Caserta. 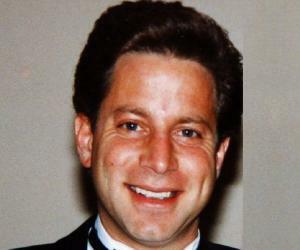 Henry died on June 12, 2012, due to a heart disease. The 1990 crime movie ‘Goodfellas,’ starring Ray Liotta and Lorraine Bracco was based on Henry Hill’s life. While Henry’s character was portrayed by Ray Liotta, Robert De Niro played the role of James Burke. In 2010, he told ‘The Telegraph’ that the film fetched him $550,000. The film, which was directed by Martin Scorsese, was adapted from a book, which too, was based on his life. On February 14, 2012, he was inducted into the ‘Las Vegas Mob Museum.’ ‘The Museum of the American Gangster’ in New York City exhibits one of his paintings and a suit, which was once owned by him.